Vanuatu police drug squad have seized quantities of marijuana plants in a house at the Independence Park area in Port Vila. An Australian national has been arrested in connection with the raid. The residence, next to Vila East School, was under police surveillance for the last two weeks. Police said the house was used as nursery for marijuana and that the plants all in pots were watched to grow to their full maturity stage. While no further details were made available by police, insiders say the entire house was used up for different processes and stages from seedlings phase, transplants, and vegetative stage up to the flowering stage. 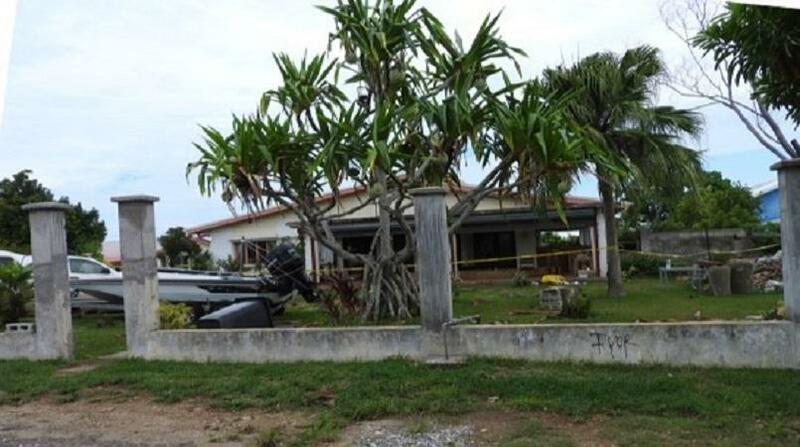 In this case, police found about 60 plants, grown on coconut husks inside the flower pots. No information is available on the street value of the plants seized. The plants were moved to the Central Police station in Port Vila yesterday then moved to another location. Police are also looking at the possibility of whether this latest raid has any connection with an alleged illicit drug manufacturing lab found behind Mele Beach on the outskirts of Port Vila. Another Australian was arrested and released on bail in that matter. Investigations are continuing with the assistance of the Australian Federal Police forensic officers.